Exciting gastronomical encounters at Park Hotel Farrer Park will leave you spoilt for choice. Be it a romantic dinner, a meal to talk business over or celebratory drinks, there is something for everyone and every need. Whether it’s a quick grab-and-go of gourmet sandwiches and pastries at The Coffee Belt or sensational Thai delights at All Day Dining to after work cocktails, our dining options bring people together for a good time. With an emphasis on social dining, the menus feature sharing plates that encourages guests to have communal meals together. 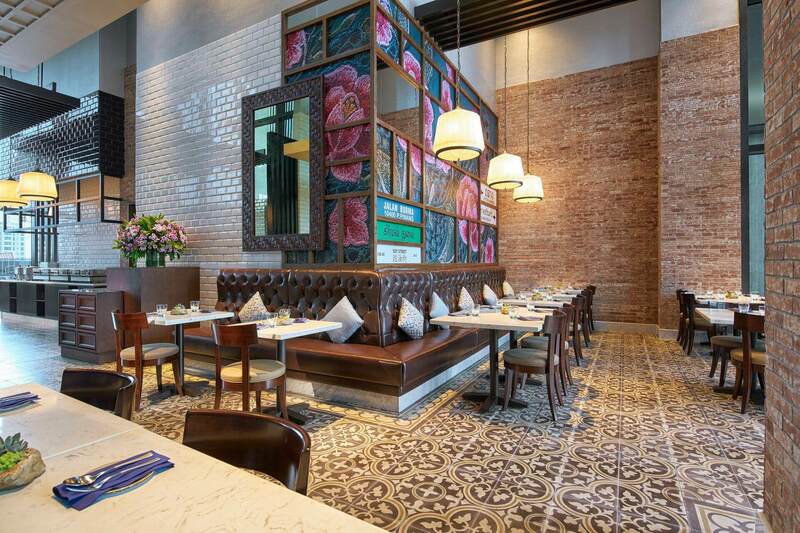 Blue Jasmine is the best new Halal Certified Thai restaurant in Singapore. The vibrant restaurant comes with alfresco seating providing diners with an airy transcendent dining experience. Designed with a touch of playfulness, the restaurant’s interiors are adorned with an eclectic mix of contemporary art décor furnishings. Open for lunch and dinner, Blue Jasmine entices diners with a myriad of aromatic dishes. Each dish encapsulates the essence of Thai cultures – the perfect harmony of earthy herbs and spices in every mouthful, which will bound to satisfy any discerning diner. Escape from the daily grind at The Coffee Belt, where the aroma of fresh coffee roasts and artisan teas lead you away from the hustle and bustle of the everyday. Perfect for when you need a little perk-me-up, an irresistible spread of premium deli offerings ranging from delightful gourmet sandwiches to homemade pastries and pies awaits.